Two lighthouse lenses, each with its own motor, are mounted at a slight angle on a wall. 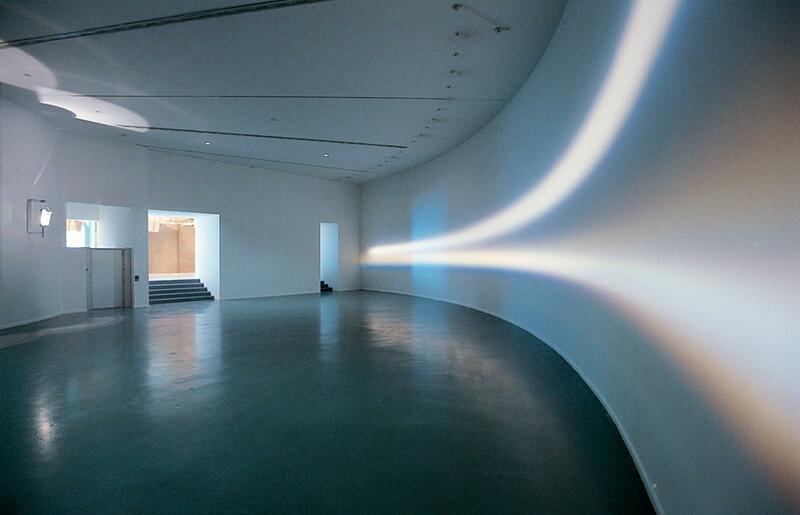 Along with white halogen lights, they create two horizontal projections in a dark, circular room. 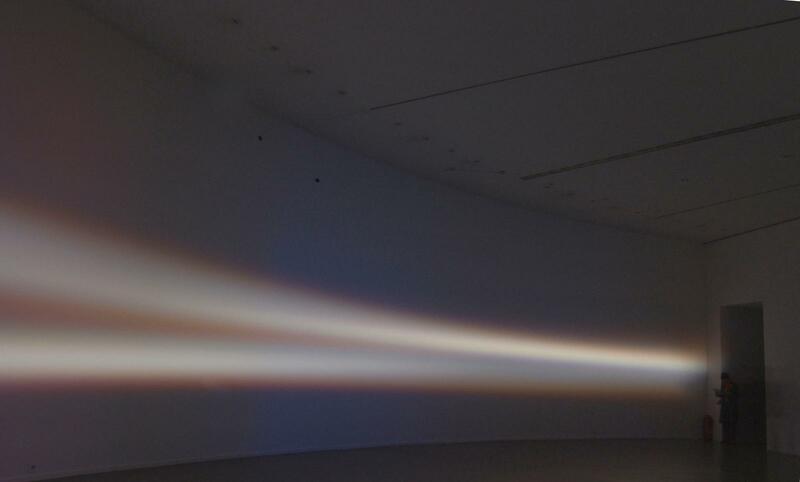 Depending on how close the two sources of light are, as well as the angle they take toward the motor's axis, the projected lines of light overlap and waver up and down.